We have finished building a brand NEW motel, and it is amazing! 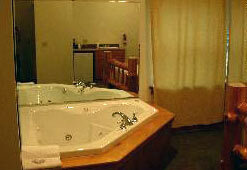 There are eight standard rooms plus two beautiful jacuzzi rooms and a large gathering room. The motel’s decor is that of a comfy ski cabin complete with log furniture and rooms trimmed out in knotty pine wood. Here are some pictures of our motel. Make reservations NOW cause it’s filling up fast. 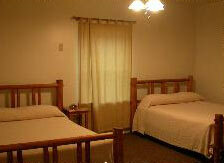 We have FREE WIRELESS INTERNET and DISH NETWORK TV service in rooms and AC! Jacuzzi Rooms are as low as $109.00/ night and get great ski discounts in season! We have a large gathering room for guests to hang out and relax in after a long day of skiing on the mountain. A great chance to get-a-way and explore PA’s beautiful Grand Canyon Country!